Lusaka Deputy Mayor Chilando Chitangala is using forged educational qualifications, a reliable source speaking on condition of anonymity has revealed. Ms Chilando (in picture) forged the original documents of her father by superimposing her name on his papers with the help of computer graphic technology. In a politically motivated operation deliberately targeted at PF Luanshya MP Chishimba Kambwili, who is also the consult for NDC, Government agents recently arrested his aide for forgery of certificates. 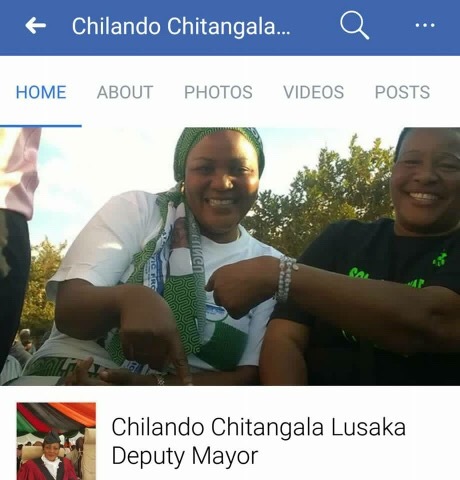 The source said the Deputy Mayor has been masquerading on false and forged academic designations in order to qualify to her current entitlement as a councillor of the City of Lusaka. The source with the privileged information has challenged law enforcement to conduct a thorough and independent investigation and prove whether the allegations are false.